Join NJTMA colleagues for a slam dunk networking event! Come enjoy the game, congratulate a scholar, and network with colleagues! 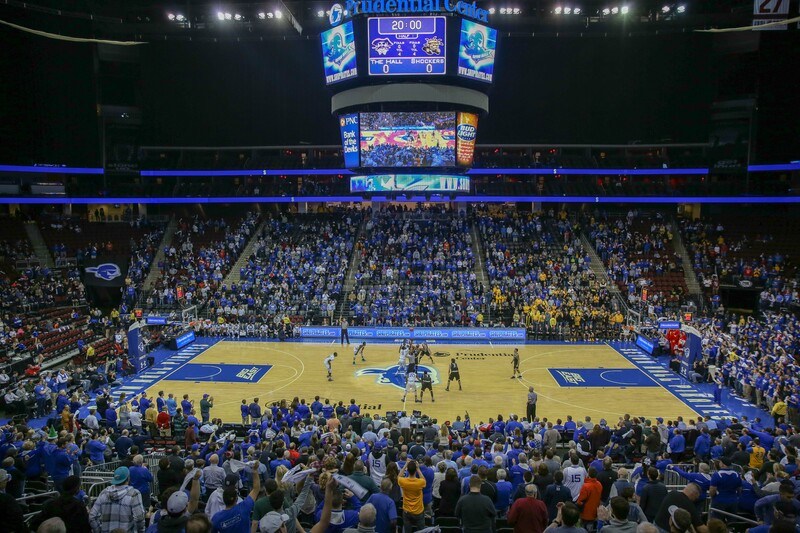 During the game, we will present the NJTMA & George Mehm Scholarship to a deserving undergraduate business student from the Stillman School of Business at Seton Hall University. In its fourth year, the scholarship is funded by the New Jersey Chapter of the Turnaround Management Association and by Seton Hall University alumnus George Mehm. Cost includes food, beverages and admission to the game. Dinner: Caprese Salad, Assorted Mini Calzones, Garlic Marinara Sauce, Three Cheese Arancini, Italian Meat Stromboli, Chicken Parmesan Sliders, Veal Meatballs, Basil-Whipped Ricotta Cheese, House Made Fried Mozzarella.